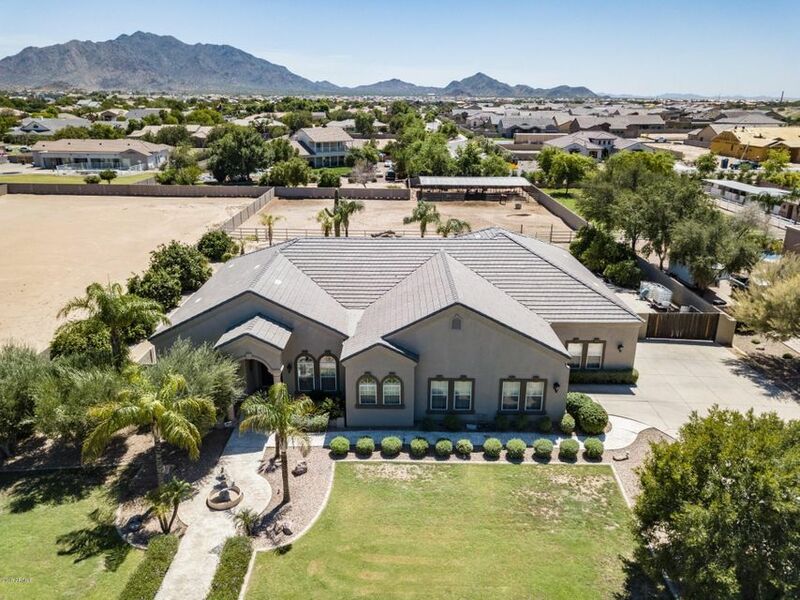 All GREENFIELD GLEN homes currently listed for sale in Gilbert as of 04/19/2019 are shown below. You can change the search criteria at any time by pressing the 'Change Search' button below. "HORSE SETUP & CUSTOM OASIS! Amazing custom basement home on an acre+! Owners spared no expense on the backyard. The saltwater pool has a MASSIVE waterfall which creates seclusion in the ROCK GROTTO! 4 OVERSIZED horse stalls! Walk inside to a flowing SPLIT-floorplan that offers a master RETREAT with dual closets, vanities, and toilet rooms! Custom tub with a professional mural will create the perfect ambiance. The kitchen has dual sinks, a large island, and a great open space for entertaining. A "